Signage LED system There are 40 products. Now there’s a miniMAX solution for wet locations where saturation with water or other liquids is likely. It’s all the same performance features of miniMAX—plus overmolded design that protects against water egress, dust and damage and a special module top surface to eliminate water retention—no separate enclosure is required. New Tetra® miniMAX MS (Micro System) was created for channel letters as shallow as 1.5 inch (38mm) deep and as narrow as ½-inch (13mm) wide. Now even the smallest letters benefit from tremendous efficiency advancements in GE LED technology. LED Channel Letter The new and improved Select TX product line offers a solution for your everyday channel letter needs. Now available in four different sizes and two different colors for use in a wide range of applications. Tetra® MS—the 24V remarkable LED system designed for small channel letters as shallow as 1.5 inches in depth delivers incredibly uniform light, installs easily and operates efficiently. The Tetra® MS isnow IP66 and UL wet rated which makes it more robust and reliable even under wet weather. 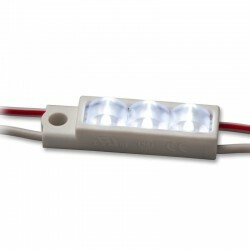 Tetra® miniMAX—the 24V remarkable LED system designed for small channel letters as shallow as 1.5 inches in depth delivers incredibly uniform light, installs easily and operates efficiently. The Tetra® miniMAX is now IP66 and UL wet rated which makes it more robust and reliable even under wet weather. Tetra® MAX—the 24V remarkable LED system designed for small channel letters as shallow as 4 inches in depth delivers incredibly uniform light, installs easily and operates efficiently. The Tetra® MAX is now IP66 and UL wet rated which makes it more robust and reliable even under wet weather. Tetra® PowerMAX—the 24V remarkable LED system designed for small channel letters as shallow as 4 inches in depth delivers incredibly uniform light, installs easily and operates efficiently. The Tetra® PowerMAX is now IP66 and UL wet rated which makes it more robust and reliable even under wet weather. Tetra miniStrip solutions are designed specifically for shallow box signs. Tetra miniStrip DS is perfect for double-sided signs with a 6 to 12 inch can depth. With this revolutionary LED solution, you can achieve money-saving advantages over T8 fluorescent tubes while delivering outstanding visual performance that protects end-user brand image.